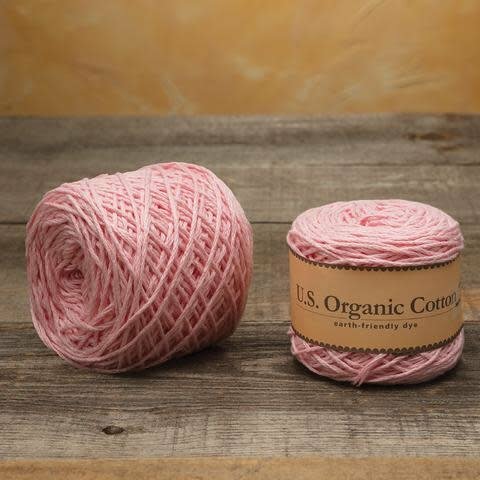 194 yards of our U.S. organic cotton sport weight yarn dyed using an earth-friendly, low impact dye process into a classic baby pink. A balanced yarn that is easy care machine wash and dry. Knitting: U.S. 6/ 4.0 mm 24" circular needles Note: Some of our patterns recommend a Size 9 needle for keeping the knit stitches loose and then tightened when washed & dryed.